Wouldn’t you just love to live in a house like these? I know I would! I actually dream of having a place of my own and make it look dreamy. I know for sure it would be something like this: a cozy, beautiful clutter, with most of my clothes exposed, somehow being part of the whole decor. No minimalism for me - I’m a hoarder! I would also love having colorful appliances – I think a pink fridge and stove would make for a very welcoming kitchen and would take the cold, unfamiliar, standardized feeling out of the machines that make our life easier. I also love the idea of white with warm pops of color and lots of beautiful boxes, pictures and personal objects spread all over the place. How about you? How do you like your home? A house like this would be really lovely indeed. LOVE this. Cozy, beautiful clutter = perfection for me. i also love the idea of showcasing your wardrobe as part of the decor. so fun and handy! If only my clutter looked this organised and aesthetic. Unfortunately it looks rather horrid. All the time. Love these pictures! i'm currently in the middle of a big move, so finding these white boxes with handle and window is on my radar watch!!! thanks for stopping by my blog, I'm your newest follower :) xox, d.
as much as i love everything so neat and tidy these pictures are so lovely! I wish I had a house like this :) So cute! Oh my God !! I'm in love with the first photo ! I WANT IT ALL RIGHT NOW in my room ! I am always trying to figure out how to perfect beautiful clutter. Great post! Love these images, especially the first one. 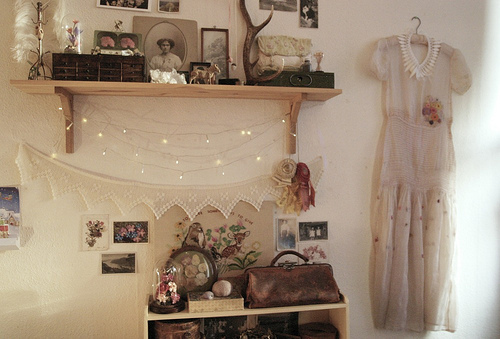 I would definitely love for my place to look like this - cluttered, but eclectic - not messy! This is really one amazing house! Of course I'm following you back! This is such a great blog! Awww, would love to move to my own apartment. These photos are so great, love the decor. I hope to one day be able to master the skill of balancing between messy and neat. 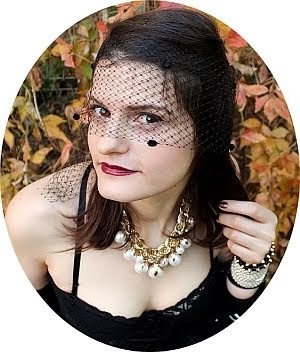 you have a beautiful blog, I love your style, your way to combine clothes, I really apreciate your post on my blog, from now on you have one more fan!!!! I would like to live in that house, absolutely incredible!!!! I like the idea of the first picture. I love that her clothes are displayed but in an organized manner. 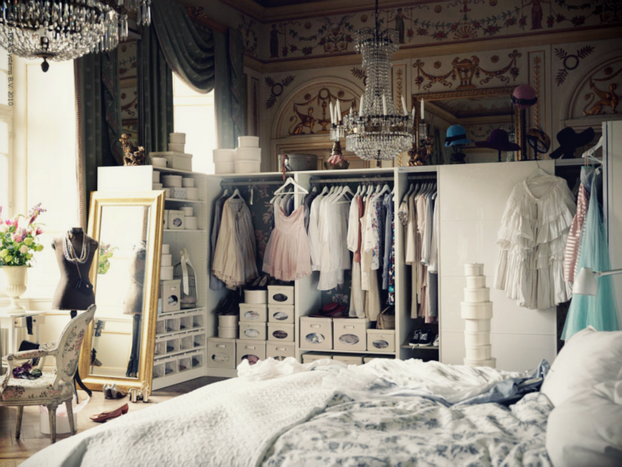 I would love my room to be like that. Although I really want a HUUUUUUUGE walk-in closet. wow!this is so amazing!!! !It is the house of my dreams!!! !thanks for your lovely comment! !your blog is so adorable!so I m your new follower!!! Great interiors and amazing inspirations! thanks for the comment and follow! 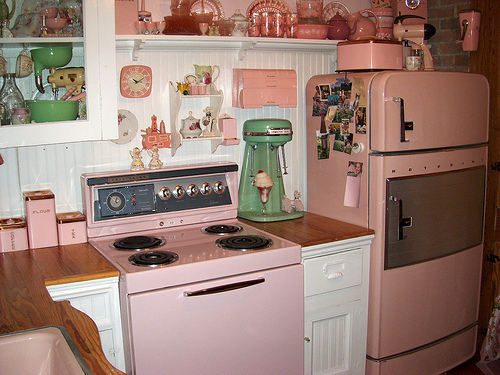 I am in LOVE with that all pink kitchen, it's so cute! I'd probably spend all day looking at it instead of cooking hah. oh my god I love the pink one! x im following love these pics..